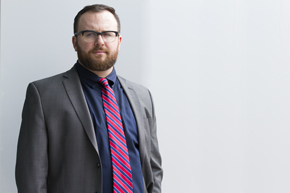 Ian is a partner in a full service Calgary and area Criminal Defence Law Firm, Savage Oykhman. Ian is an active member of the Law Society of Alberta and has defended cases in Alberta and Saskatchewan over the past 27 years. 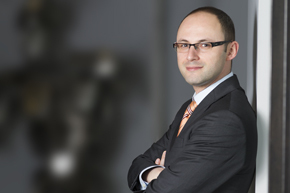 He has practiced exclusively in the area of criminal defence law since 1992. Ian successfully represents more people charged with impaired driving than perhaps any other criminal lawyer in southern Alberta. He is incredibly successful for this clients and has charges withdrawn or a preferable plea bargain for over 80% of this cases. He was one of the three lead lawyers who successfully challenged the Alberta Administrative Licence Suspension program which went to the Supreme Court of Canada, and is currently involved with challenging the provincial laws which suspend people’s licences prior to resolution of a trial. Ian is also the current president of the Alberta Criminal Defence Lawyers Association (http://www.albertacdla.com). He has appeared in all levels of court in Alberta and Saskatchewan including Traffic Court, Provincial Court (Criminal Division and Youth Division), the Court of Queen’s Bench (including many jury trials), Court of Queen’s Bench – Summary Conviction Appeals, as well as the Alberta and Saskatchewan Courts of Appeal. He has also successfully represented clients before other administrative boards such as the Driver Control Board and the Transportation Safety Board. Michael is a partner in a full service Calgary and area Criminal Defence Law Firm, Savage Oykhman. 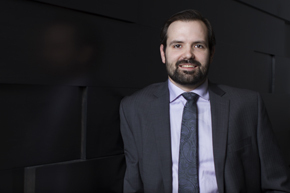 Michael obtained his Juris Doctor (law degree) from the University of Calgary in 2006 with the following distinctions: Crown Association Prize (top grade in first year criminal law), and Gale Cup Moot Competition finalist (first ever finalist finish for U of C). Since that time Michael has practiced criminal law exclusively, and has appeared at all levels of criminal court in Alberta. He is an active member of the Calgary Defence Lawyer Association (CDLA); the Calgary Bar Association; and the Law Society of Alberta. Michael has presented or participated in the following criminal educational courses: Police Interrogation and Evidence Gathering Techniques; Criminal Law Boot Camp (Presenter); Student Legal Assistance Impaired Driving Conference (Presenter); Student Legal Assistance Charter Notice Seminar (Presenter); Student Legal Assistance Domestic Violence Defence Seminar (Presenter); Legal Education Society of Alberta Impaired Driving Conference (Presenter); Intoxilyzer Breath Alcohol Testing Conference; and Criminal Trial Lawyers Association Conference. Michael is also currently the Advising Lawyer for Student Legal Assistance, a non-profit organization of law students at the University of Calgary dedicated to providing legal services and access to justice to low-income individuals. Whether you require a criminal lawyer to defend you on simple charges such as assault or theft or more serious charges such as impaired driving, Michael will explain the defences available and fight on your behalf. Luke is an associate at Savage Oykhman Law. Luke obtained his Juris Doctor from Queen’s University in 2009. While in law school, Luke won the McDougall-Watson Memorial Award in recognition of excellent filework, hard work, and commitment to the objectives of the Queen’s Law Students’ Legal Aid Society. Prior to law school, Luke graduated with distinction from the University of Alberta with a BA, majoring in History. He also won the Colonel Gilbert Sanders award for excellence in the study of Western Canadian History, and made the Dean’s Honor Roll in 2005 and 2006. 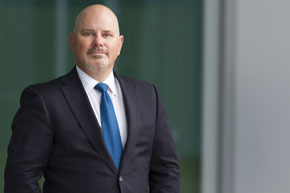 Luke completed his articles with the Crown Law Office—Criminal in Toronto before returning back to Alberta to work as Crown Prosecutor in Wetaskiwin and Calgary, where he prosecuted hundreds of impaired driving cases, serious assaults, financial frauds, and also assisted on homicide prosecutions. Luke’s previous experience as a Crown Prosecutor helps him bring a unique perspective to your case. He has a sharp eye for identifying and exploiting any and all weaknesses in the case against you, and is eager to put his experience to work for you. Luke takes pride in using a common-sense, down to earth, and efficient approach to getting the result you need in your criminal case. Jim is an associate at Savage Oykhman Law. Jim was born and raised in Coquitlam, British Columbia where he majored in History at Simon Fraser University obtaining a Bachelor of Arts in 2006. Jim came to Calgary in 2008 to attend law school at the University of Calgary where he obtained the degree of Juris Doctor. During his time in law school, Jim was heavily involved with student legal assistance. He also mooted in the Alberta Court of Appeal moot and the McIntyre / Sopinka Cup Trial Competition. He placed second in the FMC negotiation competition. He was called to the bar in July 2012. Since then, he has appeared and argued in all levels of Court in Alberta. Jim is a prolific writer. Counsel often call upon him to conduct appeals or draft written argument. His practice spans the breadth of criminal law. Jim maintained his connection to student legal assistance and now works as an advising lawyer in the area of criminal law. Jim has conducted seminars for student legal assistance and he has been a guest instructor at the University of Calgary Law School in advocacy. An avid cyclist, Jim enjoys long distance touring on his bicycle. As a measure of his perseverance, he has crossed Canada from Port Moody, British Columbia to St. John’s, Newfoundland on his bicycle. Jim has played hockey since he was six and has the dubious honor of twice leading his men’s recreational teams in penalty minutes. Jim is a young up and coming lawyer who always seeks the best possible outcome for his clients. Ooldouz is an associate at Savage Oykhman Law. She obtained her LL.B. from the University of Ottawa and her LL.M. from the University of Calgary. Upon completing her articles with Savage Oykhman Law, she was called to the Alberta Bar in 2014. Fluent in four languages, she can appear in matters before the courts in both official languages. "I would like to express my gratitude for representing my case with such integrity and efficiency, which brought about the withdrawal of charges against me. I realize, I wasn`t a very good client, due to my communication problems, but your professional conduct and patience were very helpful in getting through the nightmare of the past 6 months." "I was just sending you this email to thank you for how much you did to help me out when I was down and out I appreciate everything you have done for me if you ever need anything let me know I strongly recommend you to anyone who wants a lawyer with heart thank you again."